ESCKAZ.com (Eurovision Song Contest Knowledge from A to Z) is the first and most visited independent English/Russian language online resource devoted to the Eurovision Song Contest, daily publishing the latest news on it's preparation and developments under the motto "Delivering Eurovision News First", also covering National Preselections, Pre-Contest parties and other related information. We have 17 years of Eurovision experience. Launched in 2001, ESCKAZ keeps leading rankings on the number of visitors (up to more than a million hits and about hundred thousands unique visitors daily during Euroweek and more than 10 thousands visits daily in the rest of the season) among websites covering similar subjects being the most visited Eurovision Song Contest related website in 10 participating countries: Russia, Ukraine, Belarus, Moldova, Lithuania, Estonia, Latvia, Azerbaijan, Armenia and Georgia, first reporting to the world wide community of fans on the latest happenings in those countries, and also keeping Russian speaking fans informed about the latest news from other European countries. Nowadays, ESCKAZ is firmly positioned as the top two most popular Eurovision related unofficial website. ESCKAZ website is the only English/Russian language website and website from CIS countries officially accredited at the contest since 2002. 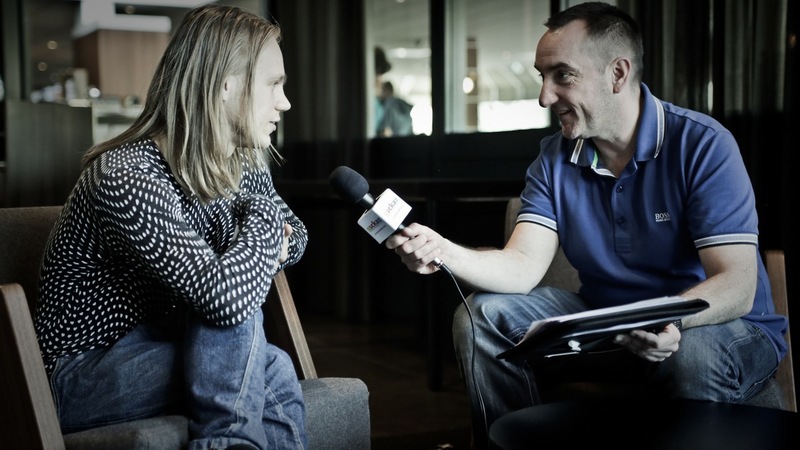 Representatives of the website have worked at Eurovision Contests in Kyiv, Stockholm, Vienna, Copenhagen, Malmö, Baku, Duesseldorf, Oslo, Moscow, Belgrade, Helsinki, Athens, anniversary events in Copenhagen and London, Junior Eurovisions in Malta, Kyiv, Amsterdam, Yerevan, Minsk, Kyiv, Limassol, Rotterdam, Eurovision Dance Contest in Glasgow, other biggest events, national preselections of different countries, and largest pre-parties in Tel-Aviv, Amsterdam, London, Riga, Moscow and Madrid, extensively covering all pre-contest preparations. Eurovision Song Contest 2012 in Baku brought ESCKAZ to the top position among the Song Contest fan sites, becoming a large success: all 42 artists interviewed live in Baku during Eurovision week in English (the only site to achieve this, with other media at least 10 interviews behind), plus additional 30 interviews in Russian through a translator, thus making it more than 70 interviews live in Baku in total; 40 out of 42 artists interviewed prior to Eurovision week. Contests in Malmö, Copenhagen and Vienna helped to prove this position of unofficial leaders. Another successful event for Team KAZ was Eurovision 2017 in Kyiv being the only website extensively reporting on the preparations of Ukraine to hold the largest music event in the world - in its daily coverage ESCKAZ produced not less than 550 billingual reports from Kyiv on every contest related aspect. With 15.000+ subscribers and 24.000.000+ views ESCKAZ.com is in top 2 most popular Eurovision Song Contest related Youtube channels featuring interviews and reports from the show. Every Euroweek our channel gets over 3-4 mln views, informing on and promoting Eurovision and it's participants. Distinctive feature of ESCKAZ is not only completely bilingual coverage - English and Russian language teams operate independently of each other, but the broadness of the coverage. ESCKAZ is the only website spreading it's coverage outside press-center events: interviews, panel and press reviews, press-conferences and rehearsals but also including coverage of the opening ceremony and "red carpet" event (trademark coverage for the site with short interviews of ALL artists competing), Euroclub, Euro-Fan-cafe, Eurovillage (the only site providing almost complete coverage of it's ESC related events), other city events and Fan Zones, national parties of countries, embassy receptions. as well as press tours. During the 17 years of our history ESCKAZ has numerous exclusives and breaking news. As per calculations in 2012-2017 seasons, around 75% of ESC news are first published on ESCKAZ, proving it's motto. ESCKAZ is the only Russian language website accredited by European Broadcasting Union via the international quota for the leading international press about the contest. In 2005 - 2008 our website has organized pre-contest interviews with almost half of participants of all Eurovision contests, moving this figure to 90% of artists interviewed prior to the Euroweek in 2009-2017, which is the record number among all websites devoted to the the Eurovision, part of those interviews were later reprinted by official websites of the performers and different other mass-media. Another trademark of Team KAZ is live coverage of the Eurovision pre-parties. We have not missed a single pre-party in the last 7 years - attending largest promo-events in Amsterdam and London since 2011, usually interviewing not less than 90% of the artists taking part in it (record figure among the fan-sites). Since 2014 we're attending pre-parties in Moscow (info-partner of the event) and Riga, in 2016-2017 ESCKAZ was the one of only 3 Eurovision websites invited to cover Israel Calling party, and in 2017 adding also Madrid event to our calendar. One of the projects of ESCKAZ was creation of Russian lyrics for Eurovision 2007 winning song "Molitva", which was recorded and released by original artist Marija Serifovic and became first Russian language version of Eurovision winning entry for the last 25 years. In 2007, ESCKAZ has also been awarded prestigeous EuroWebby "Eurovision Hero" award, which is given to the "site that works hard to offer great information, news and other resorces about Eurovision". ESCKAZ, the only website from CIS countries nominated for the awards, also finished as runner-up in "Most reliable Eurovision website category" and it's live coverage blog was among leaders in "Live coverage from EuroWeek" category. From 2007 to 2014 ESCKAZ has been the leading internet website providing most detailed and comprehensive coverage of Junior Eurovision Song Contest in the net both in English and Russian languages. In 2007-2009 ESCKAZ was the only unofficial media providing complete JESC Euroweek coverage, which resulted in 2008 with better viewing rates than of the official site of the contest. 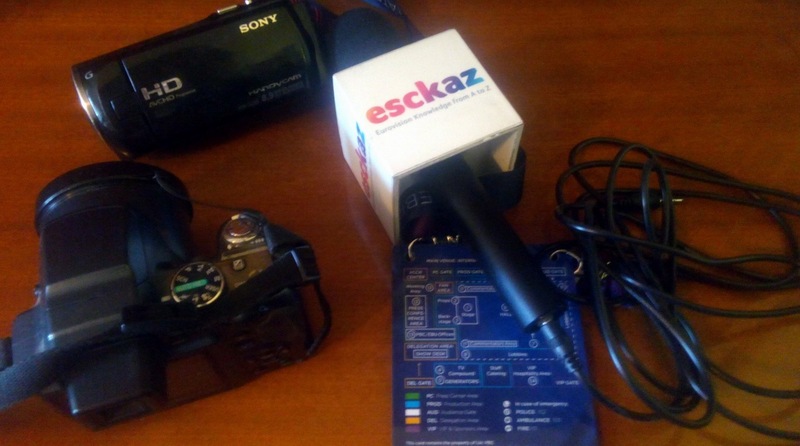 In 2012 ESCKAZ was the first media to introduce a new concept of kid-reporter. ESCKAZ is topping all other unofficial JESC sites in visitors rate as well as the rate of Youtube views at least 10 times. Besides record number of interviews, ESCKAZ is also reporting on rehearsals, press-conferences, hotel and leisure activities of participants. KAZ is the only team having 8 years of experience at the Junior contest. In 2015 editorial board of the website has decided to suspend coverage of the event due to significant decline of the interest to it from both TV and online audience. In 2007-2008 ESCKAZ has established itself as the most comprehensive internet source of information about Eurovision Dance Contest. More than 90% of all news and information related to the project have been published first at ESCKAZ. We are directly cooperating and exchanging information with organizers of the contest European Broadcasting Union, biggest broadcasters of CIS, which are participating in the contest: Channel One and RTR/Rossiya (Russia), UA:PBC (Ukraine), BTRC (Belarus), TRM (Moldova), PTV (Armenia), GPB (Georgia), iTV (Azerbaijan) and others, different artists and representatives of music labels of Russia and other European countries and also organizers of different other musical contests. ESCKAZ representatives have been in national preselection juries (Belarus, Georgia) and consulted various delegations of Belarus, Ukraine, Russia, Moldova and other countries. ESCKAZ is most quoted source of any Eurovision related information in Russian language mass-media and also the most quoted source on the Eurovision news from CIS countries in worldwide mass-media. During only last year more that 100 articles featuring information of our website were published, including interviews with authors and organizers of the project. In 2004 independent Eurovision Fanclub was established on the base of the website, which united not only citizen of many CIS countries but also many Rest of the World countries, such as South Africa, Canada, US, Australia and New Zealand (in total over 500 members). In 2005 Fanclub has been invited to join OGAE International network, getting in 2006 status of OGAE Rest of the World. Among other activities, Fanclub awarded special prize and honorary diploma to the the favourite Eurovision entrants and songwriters. Standing twice at the OGAE International president elections under the motto Transparency First, in 2017 club management has withdrawn from the OGAE Network due to disagreement with OGAE's policy of complete secrecy, lack of freedom of speech resulting in prohibition of any discussions, its failures to follow own rules and inability to satisfy demands of its members. Project of ESCKAZ - "Euroforum" - is leading Russian language fan community devoted to the Eurovision Song Contest and Junior Eurovision, and is the most popular place of gathering of Eurovision fans from different countries and place of discussions. Launched in 2003, it counts more than 1.5 mln messages and over 8000 registered users. "Euroforum" finished as runner up as "Best Eurovision Messageboard" in EuroWebby awards. Euroforum als organizes different online musical contests where professional and amateur artists in any music field can compete. We are happy to cooperate with different mass-media and share the latest and the most reliable information about Eurovision song contest and events, connected with it - providing editorial, journalist and consulting services. Independent experts of our site are ready to provide consulting services, connected with preparation and participation in Eurovision Song Contest, including explanations of the rules, setting up of the rules and format for the national preselection, development of strategies of successful preparation and performance at the National Preselection and Eurovision contest itself for the artists and song authors, and also PR and promotion services. Our experience in this field will help us to achieve success together. 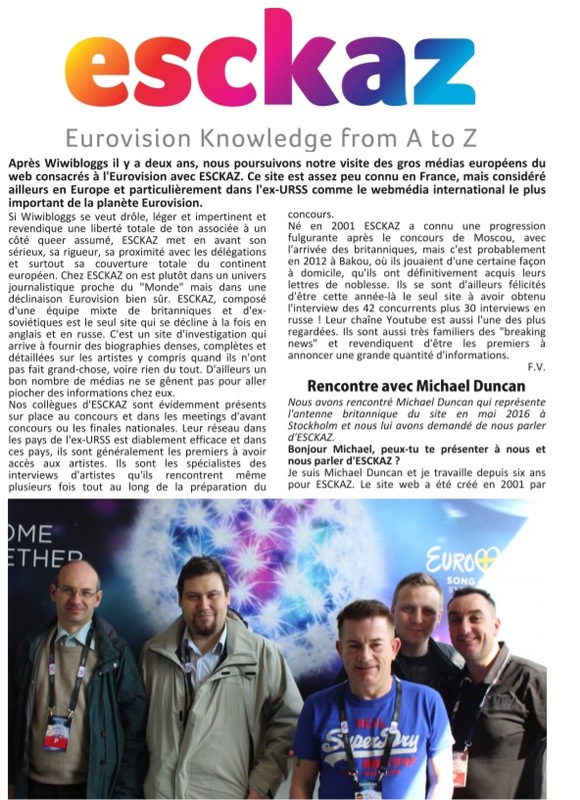 For additional information on our resource and on Eurovision Song Contest, please contact chief editor of ESCKAZ, Eurovision expert Andy Mikheev. Other reporters and collaborators to be announced for each event separately. ESCKAZ.com ("Знание Евровидения от А до Я") - первый и наиболее посещаемый независимый русско-англоязычный онлайн ресурс, посвященный музыкальному конкурсу Евровидение, ежедневно публикующий самые свежие новости о его подготовке и проведении под девизом "Узнайте новости Евровидения первыми", а также о национальных отборах, промо-вечеринках и другую сопутствующую информацию. Мы обладаем семнадцатилетним опытом работы с Евровидением. Открывшись в 2001 году, вебсайт ESCKAZ прочно удерживает лидирующие рейтинги по посещаемости (более миллиона хитов и ста тысяч уникальных посетителей ежедневно в дни конкурса, более 10 тысяч посетителей ежедневно на протяжении оставшейся части года) среди вебсайтов аналогичной тематики, будучи наиболее посещаемым сайтом о Евровидении в 10 участвующих странах: России, Украине, Беларуси, Молдове, Литве, Эстонии, Латвии, Азербайджане, Армении и Грузии, первым сообщая мировому сообществу фанатов Евровидения новости из этих стран, а также держа русскоязычных поклонников конкурса в курсе всех свежих новостей из других стран Европы. На сегодняшний день ESCKAZ входит в двойку наиболее популярных в мире неофициальных сайтов о конкурсе Евровидение. Вебсайт ESCKAZ является единственным русско-англоязычным вебсайтом и вебсайтом из стран СНГ, официально аккредитованным на конкурсе с 2002 года. Представители сайта работали на взрослых Евровидениях в Киеве, Стокгольме, Вене, Копенгагене, Мальме, Баку, Дюссельдорфе, Осло, Москве, Белграде, Хельсинки, Афинах, юбилейных Евровидениях в Копенгагене и Лондоне (в числе всего двух онлайн СМИ, получивших аккредитацию на мероприятие от BBC); детских Евровидениях на Мальте, в Киеве, Амстердаме, Ереване, Минске, Киеве, Лимассоле, Роттердаме; Танцевальном Евровидении в Глазго, других крупнейших событиях, а также национальных отборах различных стран, и промо-вечеринках в Тель-Авиве, Амстердаме, Лондоне, Риге, Москве и Мадриде отслеживая всю предконкурсную подготовку. Конкурс Евровидение 2012 в Баку принес команде ESCKAZ лидирующую позицию среди всех фан-сайтов Евровидения, став крупнейшим успехом: во время Евронедели взяты интервью у всех 42 артистов на английском языке (единственный сайт, которому удалось добиться такого результата, другие СМИ уступили на, по меньшей мере, 10 интервью), плюс дополнительные 30 интервью на русском через переводчика, т.о. суммарно в Баку было взято более 70 интервью; до начала Евронедели опубликованы интервью с 40 из 42 артистов. Освещение конкурсов в Мальме, Копенгагене и Вене закрепили лидирующие позиции. Еще одним успехом для сайта стало освещение Евровидения 2017 в Киеве - ESCKAZ был единственным вебсайтом ежедневно рассказывавшим о каждом шаге подготовки Украины к крупнейшему музыкальному форуму в мире - выпустив не менее 550 статей на двух языках о каждом аспекте конкурса. C более чем 15 тысячам подписчиков и 24 миллионами просмотров ESCKAZ.com входит в число двух наиболее популярных Youtube каналов, посвященных конкурсу, публикующих интервью и репортажи с шоу. Каждая Евронеделя приносит каналу 3-4 млн просмотров, рассказывая и продвигая конкурс Евровидение и его участников. Отличительной чертой работы ESCKAZ является не только полная двуязычность - англо- и русско-язычные команды полностью независимы друг от друга, но и широта освещения. Так, ESCKAZ является единственным сайтом, охватывающим во время Евронедели не только освещение мероприятий в пресс-центре: интервью с участниками конкурса, обзоры команды, мнение прессы, пресс-конференции и репетиции, но и Церемонию открытия и "красную дорожку" (коронное мероприятие сайта - с короткими интервью со всеми участвующими артистами), Евроклуб, Евро-фан-кафе, Евродеревню (единственный сайт освещающий ее мероприятия почти в полном объеме), национальные вечеринки стран, приемы в посольствах, а также другие события в городе и экскурсии. За 15 лет своей истории ESCKAZ предоставлял своим читателям массу эксклюзивных и срочных новостей. По статистическим оценкам сезонов 2012-2017, ESCKAZ первым публикует около 75% всех новостей, связанных с Евровидением, тем самым оправдывая свой девиз. В 2009 году ESCKAZ стал единственным русскоязычным вебсайтом и одним из пяти англоязычных сайтов, включенным Европейским Вещательным Союзом в международную квоту аккредитации на конкурс - для крупнейших международных СМИ. В 2005 - 2008 годах наш вебсайт взял предконкурсные интервью у половины из участников всех конкурсов Евровидения, повысив марку до рекордных 90% интервью в 2009 - 2017 годах; ряд этих интервью был перепечатан официальными вебсайтами артистов и другими СМИ. Еще одним коронным проектом команды KAZ является освещение промо-вечеринок Евровидения. Мы не пропустили ни одной вечеринки за последние 7 лет - посещая крупнейшие мероприятия в Амстердаме и Лондоне с 2011 года, интервьюируя в их рамках не менее 90% участвующих артистов (рекордное число среди всех фан-сайтов). С 2014 года мы освещаем промо-вечеринку в Москве (информационный партнер мероприятия) и Риге, в 2016-17 годах ESCKAZ был одним из всего трех сайтов Евровидения, приглашенных к с освещению Israel Calling, а в 2017 в календарь событий был добавлен и Мадрид. Одним из проектов ESCKAZ стало написание русской версии песни "Молитва", победившей впоследствии на конкурсе Евровидении 2007, которая была официально записана и выпущена оригинальной исполнительницей Марией Шерифович и стала первой русской версией песни-победителя Евровидения за последние 25 лет. В 2007 году ESCKAZ вручена премия EuroWebby "Eurovision Hero", которая достается сайту, "больше всех трудящемуся для того, чтобы предложить своим посетителям новости и другую всеобъемлющую информацию о Евровидении". ESCKAZ, единственный сайт СНГ номинированный на данной, признанной Европейским Вещательным Союзом, премии, также занял второе место в номинации "Самый достоверный источник информации о Евровидении", а его новостной блог вошел в лидеры номинации "Освещение в прямом эфире Евронедели". Обладатели премий были определены народным голосованием, в котором участие приняли около полумиллиона поклонников конкурса. С 2007 по 2014 год ESCKAZ беспрерывно являлся лидирующим сайтом в интернете, предоставляющем наиболее полное освещение конкурса Детское Евровидение как на русском, так и на английском языке. В 2007-2009 годах ESCKAZ стал не только единственным русско-, но и англоязычным СМИ, которое в прямом эфире освещало Евронеделю Детского Евровидения. В 2008 году ESCKAZ стал самым посещаемым сайтом о конкурсе, обойдя даже официальный сайт конкурса. На Детском Евровидении в Амстердаме ESCKAZ впервые представил инновационную концепцию ребенок-журналист. Отрыв ESCKAZ на Детском Евровидение от других неофициальных сайтах по всем показателям (посещаемости, просмотрам видео и пр.) составляет не менее 10 раз. Помимо рекордного количества интервью, ESCKAZ также освещает в полном объеме репетиции, пресс-конференции, мероприятия в отеле и отдых участников конкурса. ESCKAZ - единственный неофициальный сайт конкурса, обладающий 8 летним опытом работы на нем. В 2015 году команда вебсайта приняла решение приостановить работу на конкурсе, в связи со значительным спадом к нему интереса как со стороны телевизионной, так и онлайн аудитории. В 2007-2008 годах ESCKAZ закрепил за собой статус основного интернет-источника информации о конкурсе Танцевальное Евровидение. Более 90% всех новостей об этом проекте были впервые опубликованы на ESCKAZ. Мы напрямую сотрудничаем и обмениваемся информацией с организаторами конкурса Европейской Вещательной Ассоциацией, крупнейшими телеканалами СНГ, участвующими в конкурсе: Первый Канал и ВГТРК (Россия), НОТУ (Украина), БТРК (Беларусь), ТРМ (Молдова), ОТВ (Армения), ОТГ (Грузия), iTV (Азербайджан) и др, рядом артистов и музыкальных лейблов России, ближнего и дальнего зарубежья, а также организаторами других музыкальных фестивалей. Представители сайта входили в составы национальных отборочных жюри (Беларусь, Грузия) и консультировали при подготовке ряд делегаций Беларуси, Украины, России, Молдовы и других стран. ESCKAZ наиболее цитируемый источник информации о конкурсе в русскоязычной прессе. За последние годы было напечатано несколько сотен различных публикаций, использующих информацию с нашего вебсайта, в том числе и интервью с авторами и основателями проекта. В 2004 году на основе вебсайта был создан крупнейший Фанклуб любителей Eвровидения, объединивший в себе не только жителей многих стран СНГ, но и жителей дальнего зарубежья, вплоть до США, Южной Африки и Австралии (всего свыше 500 членов). Во время конкурса 2005 года в Киеве фанклуб, руководство которым в настоящее время осуществляется независимо от вебсайта, был приглашен вступить в международную сеть ОГАЕ, получив в 2006 году статус "ОГАЕ Остальной мир". Помимо прочих видов деятельности в рамках и вне рамок структуры ОГАЕ, клуб ежегодно вручал собственную премию и почетный диплом конкурсантам Евровидения, а также авторам конкурсных песен. После двухкратного участия в выборах президента международной сети ОГАЕ под лозунгом "Открытость превыше всего" - в 2017 году менеджмент клуба принял решение о выходе из системы в связи с несогласием с политикой полной секретности, отсутствием свободы слова и запретом любых дискуссий, не следованием собственным правилами и невозможностью удовлетворить запросы членов сети. Проект сайта ESCKAZ - "Еврофорум" - международное русскоязычное сообщество поклонников конкурса Евровидение, является наиболее популярной площадкой для встреч и общения фанатов Евровидения различных стран (более полутора миллиона сообщений и 8000 зарегистрированных пользователей начиная с 2003 года). 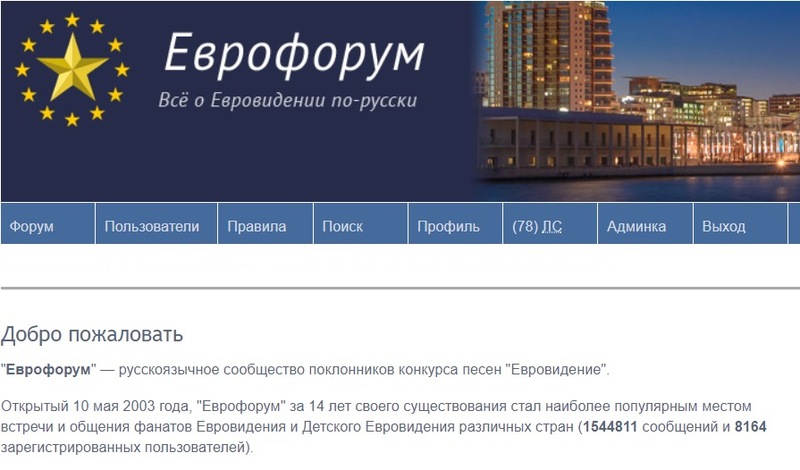 "Еврофорум" стал вторым призером премии EuroWebby в номинации "Лучший форум о конкурсе Евровидение в мире". На Еврофоруме регулярно проводятся онлайн-конференции с участниками Евровидения. Также наш вебсайт и форум проводят ряд собственных популярных онлайн музыкальных конкурсов, в которых могут участвовать профессиональные артисты и любители во всех музыкальных жанрах. Мы с радостью готовы делиться с различными СМИ наиболее свежей и проверенной информацией о конкурсе Евровидение и событиях, с ним связанных - оказывая редакторские и журналистские услуги. Независимые эксперты нашего сайта также готовы предоставить консультационные услуги, связанные с подготовкой и участием в конкурсах Евровидение и Детское Евровидение, в частности - толкование правил конкурса, разработку формата и правил отбора к конкурсу, стратегий успешной подготовки и выступления на национальном отборе и самом конкурсе Евровидение для артистов и авторов песен, а также услуги PR и раскрутки. Наш опыт в этой сфере позволит нам вместе добится успеха. Для получения дополнительной информации о нашем ресурсе и о конкурсах "Евровидение", пожалуйста, свяжитесь с главным редактором ESCKAZ, экспертом в области Евровидения Андреем Михеевым.